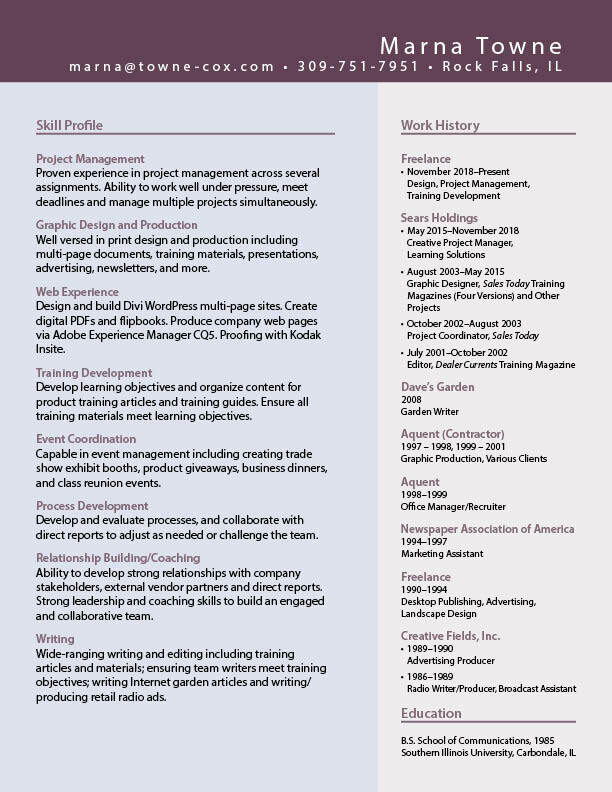 I am a project manager at my core but I also have experience in design, production and writing as well as some instructional design. I possess a solid background in training materials and my understanding of structure requirements are valuable in print and web content development. My diverse background is an asset to those who are seeking a well-versed individual. Recently I lead a creative team in developing a variety of training products for Sears associates. This role’s duties included planning and managing timelines, defining learning objectives and ensuring training goals were met, and coaching, team building and leading four direct reports. This 6-panel CD was a fun project, which included original art design. Additionally, the project required Kickstarter, iTunes and CD Baby graphics. It’s also a great listen. This site was built for musician and ukulele instructor Matt Dahlberg. Matt was looking for a simple yet powerful site for potential and current students. Effortless navigation was key to a positive and productive user experience, and imagery was used to engage visitors. This site includes 50+ pages covering government requirements and departmental information. The WordPress platform allows multiple contributors to easily manage their own pages. 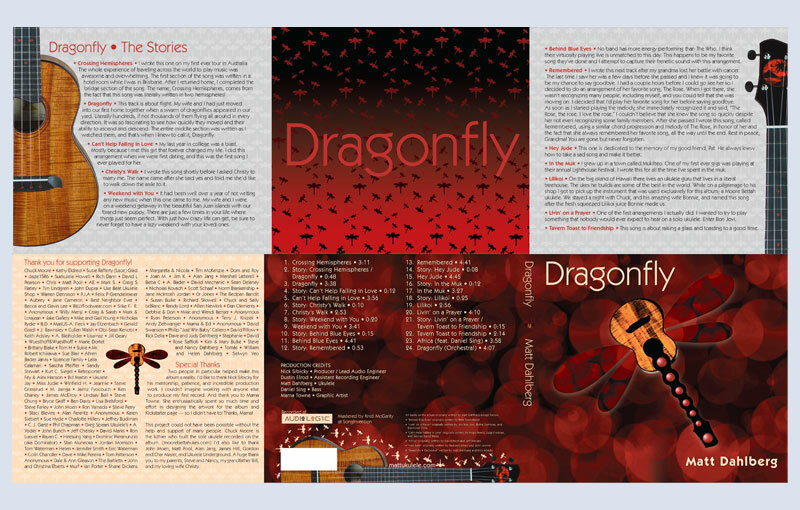 I have extensive experience with magazine-style design and layout, including setting up master pages and styles. The Sears creative team produced monthly training magazines in multiple business categories. Other projects include training guides, brochures, demonstration sheets, etc. Work for additional clients includes logo development, signage, posters, fliers, etc. Proficient with FlipBuilder FlipPDF Pro to convert PDFs to online magazines and guides. This platform allows for video embedding and document/web site linking. Some guides required up to 100 links. Organization is key to managing large document conversions.